Nashville Zoo offers exciting camp opportunities for members and the community. 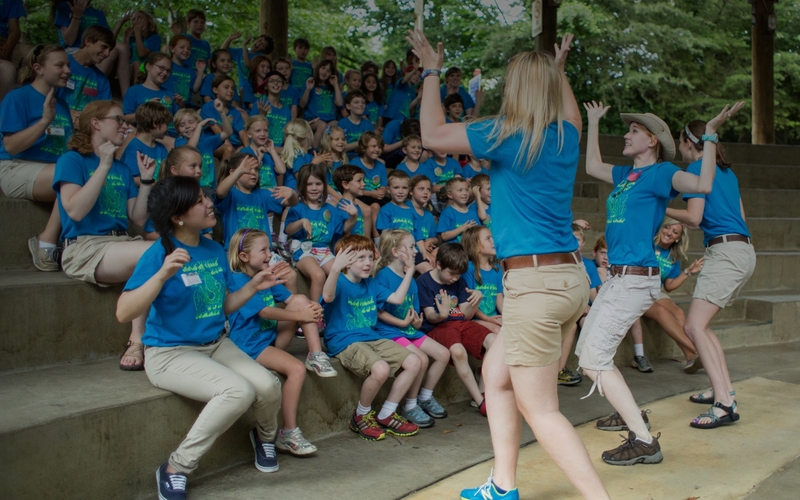 Each year Nashville Zoo offers ten exciting weeks of summer camp for youth ages 4 through 18 including special camps designed for children with special needs and even future veterinarians! 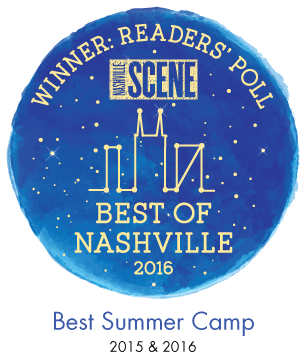 In addition to summer camps, the Zoo offers smaller camps during Metro Nashville's spring and fall breaks. Camp questions? Please contact education@nashvillezoo.org or 615-833-1534 x160. Campers ages 4 to 18 can join us for day camps full of Zoo favorites and new adventures. All camps incorporate animal trail exploration, games, crafts, WILD hands-on activities and up-close animal encounters. Most camps run from 9am to 3pm each day, with before-care available starting at 7:30am and after-care available until 5:30pm for an extra fee. Registration will open for non-members on March 6 around 10am. This mini-camp is designed for first-time campers. Slithering snakes and hoppin’ kangaroos, do we have an exciting camp for you! Animals use their bodies in all sorts of different ways to get around. Come move with us at the zoo! Lunchtime is not included, but kids are encouraged to bring a snack. After-care is not available for this camp. From what distance can a bear smell its dinner? How does an owl find its prey during the night? Campers will learn how animals use their amazing senses for survival as they practice using their own senses to connect with wildlife. Jump in tail first as timeless children's books come to life. Children will join special characters like the Lorax, Gerald the Giraffe, and Pete the Cat as they explore new "tails" each day. Bats are blind. Frogs give you warts. Pigs are dirty. There are tons of animal myths out there, but which are true and which are false? Help us investigate as we put these myths and more to the test – we’ll either debunk them or maybe even prove them to be true! What’s not a myth? This camp is sure to be AWESOME. *4-day camp during 4th of July week is discounted to $180/members and $200/non-members. Calling all ecoAvengers, Nashville Zoo needs your help! Many animals are facing the loss of their homes and even extinction. We need a team to stop the ecoVillains from taking over our planet. Join forces and become a member of a universal group of supporters trying to save them. It is a race against time to save your species from extinction! Learn about what it takes to survive as an animal in the wilderness and pick up a few survival skills of your own. Nashville Zoo is growing WILD! What does it take to run a zoo? How would you design an exhibit? What animals would you house in your zoo? Learn the ins and outs of the zoo world and throughout the week put the pieces together as you design your own zoo! Protecting our planet starts with us. Understand and explore human impact on our changing world and ways you can represent GLOBE in your community. Campers will go behind-the-scenes and learn about Nashville Zoo's local and global conservation projects involving clouded leopards, giant anteaters, rhinoceros hornbills and more! Special animal encounters, hands-on activities and games wrap-up this one-of-a-kind experience. All proceeds from Project GLOBE will directly benefit Nashville Zoo's conservation projects. Nashville Zoo’s Veterinary Camp is a three-day camp for participants age 15-18. If you have an interest in a future career in veterinary medicine, this camp is designed for you! Get an inside view on what education paths and experiences it takes to become a zoo veterinarian, vet tech and other zoo and animal-related careers. Campers also learn about the daily equipment used by our veterinarian department, safe animal restraint, participate in a parasitology lab, zoo animal nutrition, practice blow-darting and more. This camp takes place in our brand new state-of-the-art Veterinary Center. This is a day camp offered to children with special needs. 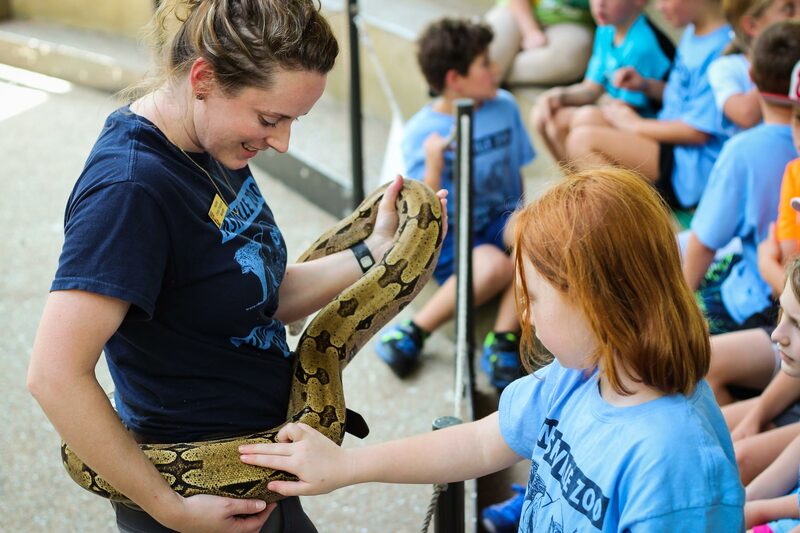 Campers will meet animals in the classroom, visit exhibits throughout the Zoo, make crafts, and play games to connect information discussed in the classroom with the animal kingdom. Caring for animals is a fun and rewarding experience! Whether it is an animal that is part of your family or a ginormous giraffe, animals need special care to stay healthy. Explore the inside scoop on how Nashville Zoo cares for hundreds of different animals through animal encounters, fun activities, games and more. Nashville Zoo has been working with Vanderbilt Kennedy Center's Treatment and Research Institute for Autism Spectrum Disorders (TRIAD) to form the structure of the camp. Supports will be included for campers throughout the day such as a visual schedule, visual supports, first/then boards, quiet areas, and choice boards. There is a separate registration/application process for this camp. Fill out a pre-registration form to get started with the application process. For more information or questions concerning Zooper Heroes Camp, please contact education@nashvillezoo.org or 615-833-1534 x160. Before-care is open from 7:30 - 8:45am, and costs $50/week. Campers generally spend this time indoors playing board games, coloring, etc. Can be purchased separately from your camp registration. After-care is open from 3:15 - 5:30pm, and is $50/week. After-care campers may participate in indoor games or if weather permits, go outside to an exhibit or the jungle gym. Campers are encouraged to wear their summer camp t-shirt each day of camp. Having an extra on-hand can be helpful. Shirts are $8 each and can be purchased separately from your registration prior to April 30.